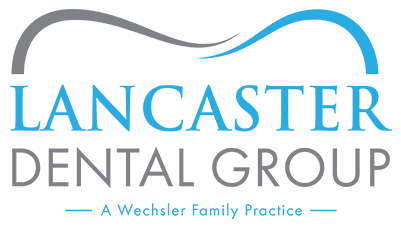 At Lancaster Dental Group: A Wechsler Family Practice, Mitchell Wechsler, DDS, gives his patients smiles that look as good as they feel. That’s why he offers teeth whitening to help his patients with dull or discolored teeth add some brightness and whiteness to their smile. Located in Lancaster, California, Lancaster Dental Group is a trusted resource for a wide range of dental procedures, including teeth whitening. To learn more, schedule an appointment today by calling the office or using the easy online booking tool. Discoloration and dullness tend to happen with age as well, as the enamel on the outside of your teeth becomes thinner and the dentin on the inside of your teeth naturally yellows. Some people are also genetically disposed to have teeth that aren’t as white, since porous or transparent enamel (genetically inherited traits) can make the staining on teeth more apparent. There is a wide range of teeth whitening options available on the market today, many of which are available over the counter, such as at-home whitening strips. While at-home solutions are convenient, they aren’t as effective as the treatments you can get by visiting a dental professional like Dr. Wechsler. Many whitening kits use bleaching agents that aren’t as concentrated as those in a dentist’s office, and because at-home strips and trays aren’t custom-designed to fit your teeth, the bleaching agent frequently leaks out, which can irritate and inflame your gums. For those reasons and more, the American Academy of Cosmetic Dentistry recommends using custom-designed bleaching trays for the safest and most effective teeth whitening. If you decide to whiten your teeth with this method, Dr. Wechsler takes an impression of your bite that he then uses to design a whitening tray that’s perfectly fitted to every nook and cranny in your smile. He also gives you a bleaching solution which you put in the trays and wear on your teeth for up to an hour every day. After 2-3 weeks, your teeth will be noticeably whiter, and your smile that much more radiant! Yes, teeth whitening is a safe and painless way to enhance the appearance of your smile. The most pronounced side effect you might experience is increased sensitivity in your teeth during your treatments. You can easily minimize this sensitivity by using a sensitive toothpaste, chewing gum, or taking a short break from the whitening treatments. If you’re interested in learning about how Dr. Wechsler can whiten your teeth and make your smile shine, make an appointment today by calling the office or using the convenient online booking tool.